As I grow older I’ve started to notice a very strange trend; foods I avoided as a child are becoming my favourites – comfort foods of sorts. I’m not sure if it’s because my palette has matured as an adult, or if those foods come with a sort of nostalgia. One of my new favourites is Rooh Afza. 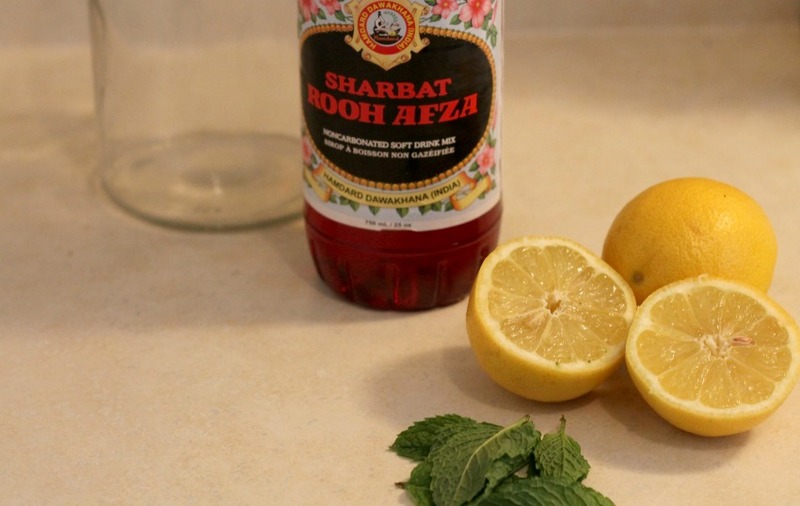 Rooh Afza is basically a sweet, sticky syrup made from fruits, herbs, and vegetables. It was originally created by a Pakistani physician in 1906 as a cooling agent, using a particular blend of herbs to help people deal with sweltering heat and has a very strong rose flavour. There are various stories floating out there on the internet about the quality of Rooh Afza these days, but it is still found in almost every Indian/Pakistani home, especially in the summer months. Traditionally, Rooh Afza is served in milk – that’s how my mom used to try to get me to drink it as a kid. At the time I really disliked the taste, but recently a bottle of Rooh Afza caught my eye during a visit to Fruiticana and I picked one up for nostalgia sake. Maybe it’s because I’ve developed a love for rose flavoured foods, or maybe it’s because it reminds me of my Bibi (maternal grandma) drinking the pink syrup in milk and always getting a milk mustache. She would just walk around with the milk mustache for the longest time until we bugged her to wipe it off. 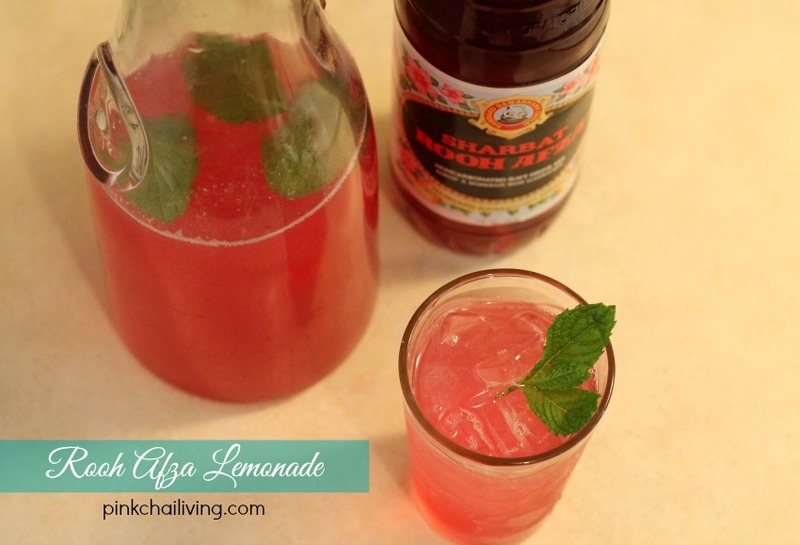 Of course, it wasn’t enough for me to just have it in milk, I had to tinker around and came up with this refreshing Rooh Afza Lemonade with Mint. Read on for the simple directions, and keep reading for a fun little cocktail idea I came up with! Muddle the mint leaves just a little to release the flavour and place at the bottom of your pitcher. Add water to the pitcher first, and then add lemon juice, Rooh Afza, and sugar and stir well. Serve over ice. So as I was experimenting with various batches of lemonade for this post it occurred to me that I could shake up a martini….the rest is cocktail history! All you need to do is take the following ingredients, throw them into your shaker with a little ice and mix it up. This is such a great cocktail to pair with a spicy tandoori chicken from the BBQ, the sweetness is the perfect balance to spice. Enjoy! Did you drink Rooh Afza as a kid? Do you still drink it now? 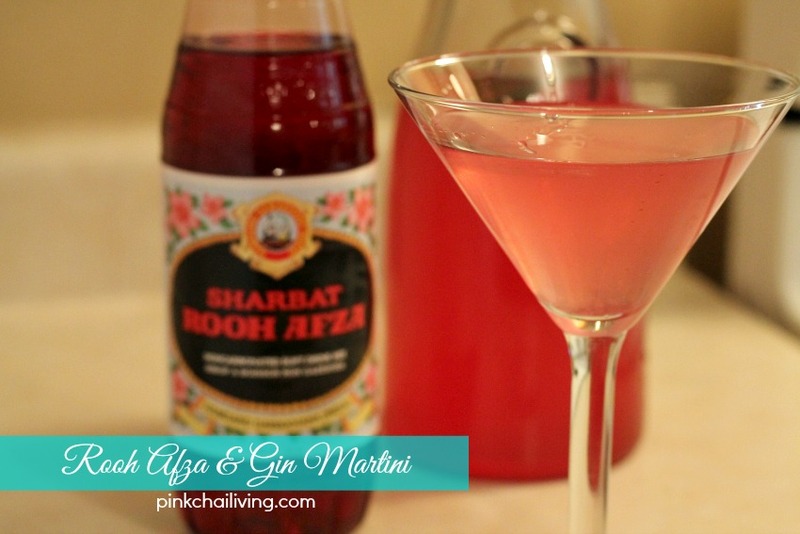 PS: If anyone has a homemade Rooh Afza recipe I’ve been searching for one for days … please share! 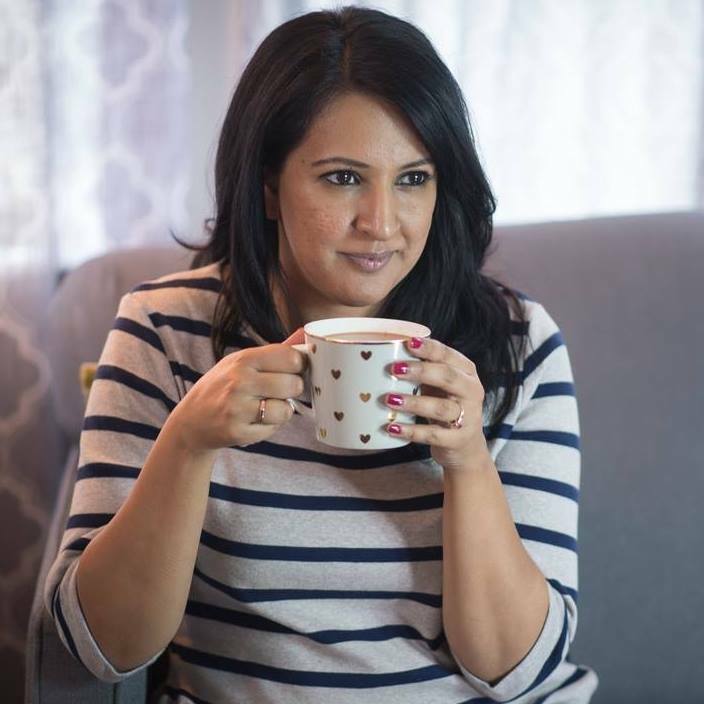 Next Post A Mobile Spa, Pedicures, and Pakoras – The Ultimate Girl’s Night! Pakistani physician in 1906? Didn’t Pakistan not exist until 1947? That’s correct Supreet, Pakistan was created in 1947, however, since then people who live there (whether they’ve been there since pre or post partition) are referred to as Pakistani. Sorry for any confusion. Hi, glad you have given a recipe for cocktail. I was thinking to myself when I made simple roohafza drink…the color looked great and thought to myself why not make a cocktail as i make cocktail myself. Thanks for sharing. I never drank roohafza as a child but the famous advertisement as a little girl back then madè me by a bottle and I kept it in the fridge for long. Only yesterday did I search for a recipe and my hubby liked the best part. Thanks. Rooh afza was made by hamdard company in 1906 when india pakistan was 1. Hakim Abdul Majid made it. If buying, buy hamdard brand.